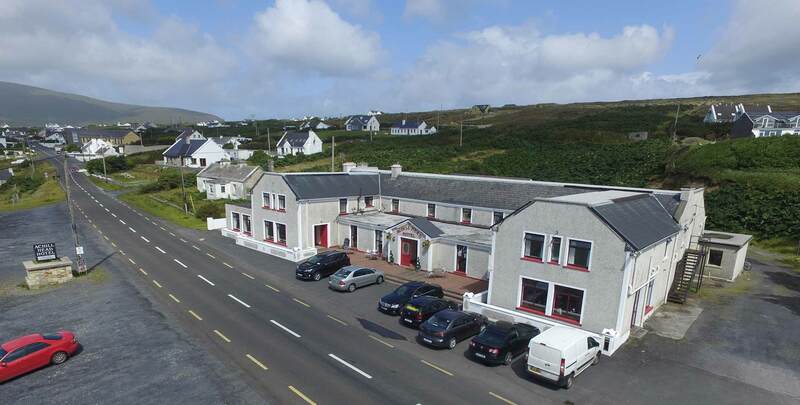 This lovely, family run hotel is situated on the idyllic Achill Island in the Bay Coast of The Wild Atlantic Way. 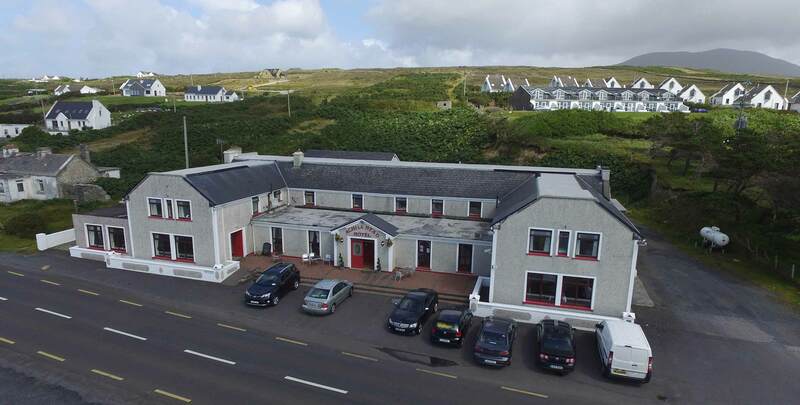 It offers 20 comfortable bedrooms, a full bar with live performers on most weekends, a restaurant with breath taking views of the Minaun Cliffs and a nightclub at weekends with top DJs. 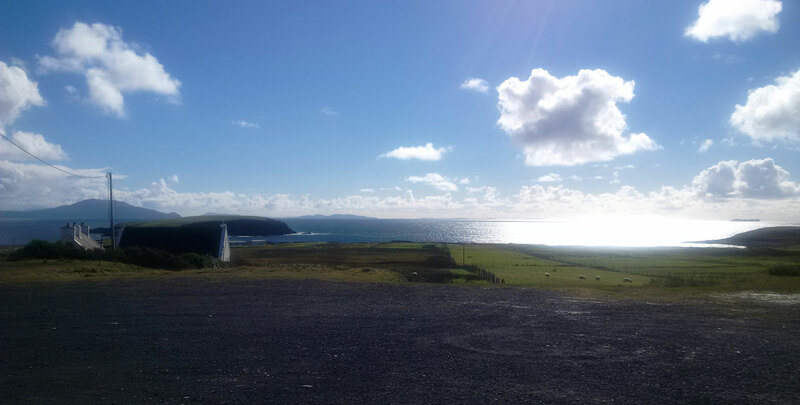 The Achill Island landscape is stunning and air pure, the Atlantic Ocean laps against the pristine beaches, and the rolling hills, cliffs and mountains create a serene backdrop. 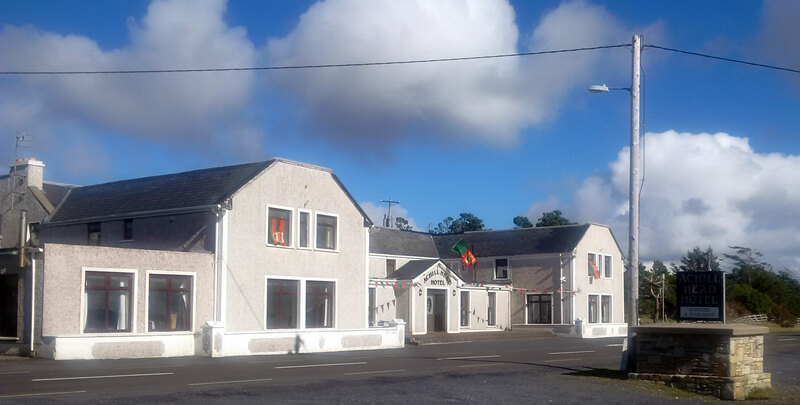 While exploring the Wild Atlantic Way, why not enjoy some of the wonderful activities Achill Island has to offer. Whether you’re walking or cycling, the Great Western Greenway trail from Achill to Westport will help you escape and embrace the tranquil beauty of the west coast. 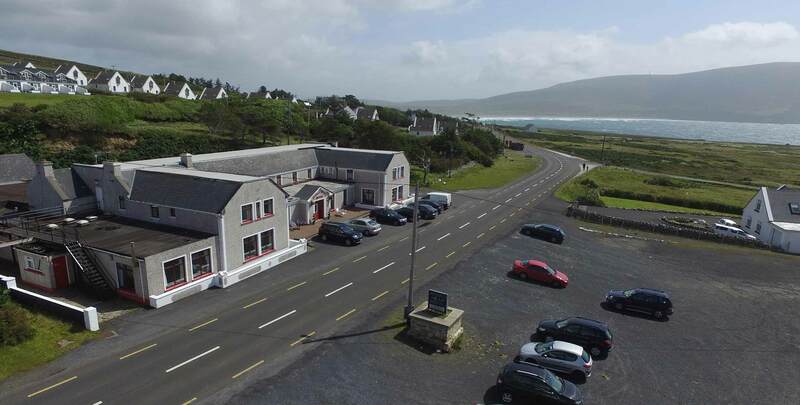 The Achill Head Hotel is surrounded by 5 blue flag beaches where you can challenge yourself to various water sports, rock climbing and horse riding. 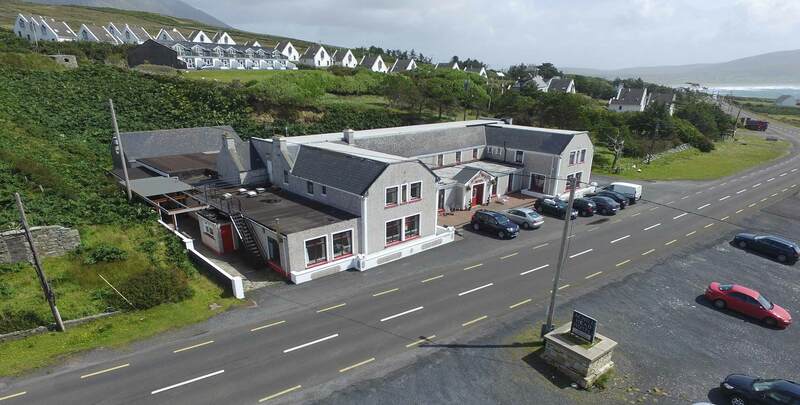 After a fun filled day, or indeed a day of relaxing, if that’s what you prefer, the staff at The Achill Head Hotel will cater for all your needs, so sit back and enjoy the views with a drink and a delicious meal made by our renowned chefs. Try our Guinness too – it tastes great! 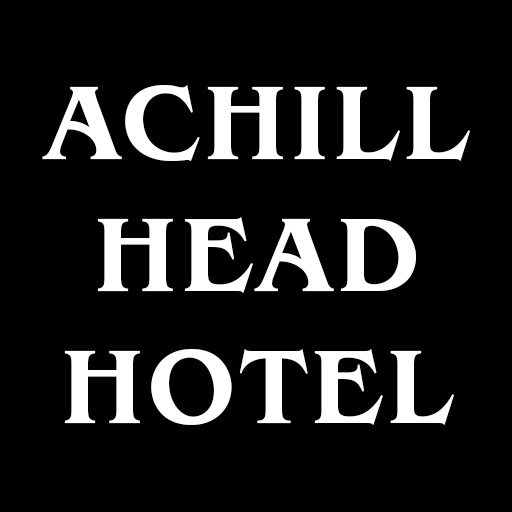 We look forward to welcoming you to the very special Achill Head Hotel, a slice of paradise that we want to share with you!